Occupational therapy focuses on an individual’s ability to engage in everyday activities that support meaningful participation in life. Occupation refers to the ordinary and familiar things that people do every day in pursuit of fulfilling and healthy lives. Occupational therapists work with individuals of all ages helping them to engage in everyday activities when injury, illness or other conditions affect their lives. Occupational therapists support an individual’s uniqueness and capacity for change, establishing, restoring or maintaining skills and modifying activities and the environments in which they take place to promote overall health and well being. The OT Program at the University of Wisconsin-Madison began offering a Bachelor’s degree in 1943. Since its inception, the Program has continually been accredited and has grown in response to the educational, leadership, and research needs of the profession including implementation of a post-professional Master’s degree in Therapeutic Science (MS-TS) in 1985, a Doctor of Philosophy in Kinesiology, Therapeutic Science Track (PH.D.-Kinesiology) in 1996, an entry-level Master’s degree in (MS-OT) in 2005 and a post-professional Doctor of OT (OTD) in 2016. The University of Wisconsin-Madison is a premier research institutions as reflected in the quality of the faculty in the Occupational Therapy Program. Faculty members are recognized nationally and internationally as leading researchers in their field with ongoing funded research programs. Students engage in exemplary research and scholarship with their faculty mentor. The University of Wisconsin campus is situated in the heart of Madison, Wisconsin, a great place to live and learn. The City of Madison has consistently ranked in the top 10 desirable places to live, work and play. It’s natural beauty, urban sophistication, recreational opportunities, and active cultural life provide a wide array of offerings to supplement a rich campus life. To excel in the discovery, critical examination and transmission of the knowledge and values of Occupational Therapy for the purpose of promoting health and well-being in the local, state, and global communities. The mission of the Department of Kinesiology is to create, interpret, transmit, and apply knowledge related to movement, exercise, and human occupation with the ultimate goal of enhancing human health, productivity, and quality of life. Why Occupational Therapy at UW-Madison? The Occupational Therapy Program at the University of Wisconsin-Madison began in 1943 when academic courses prepared students to work in the areas of mental health, tuberculosis care, general medicine, pediatrics and orthopedics. At that time, the Medical School and the School of Education jointly administered the program. In 1945, 150 students were enrolled in the program and Miss Caroline Thompson accepted the position of Technical Director of the program. 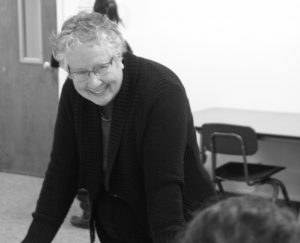 She would serve as the overall program coordinator for 31 years. By the mid-1950s the Occupational Therapy Program grew to become the second largest in the country. Curriculum improvements included the addition of the first research methods course in 1964 and a broadly based course in OT theory for those in the junior year of the program. Increasing enrollment, however, made it difficult for the program to adequately meet the needs of the students. By the early 1970s, enrollment caps were in place and students were required to meet minimum standards for admission. In 1985, a post-professional master’s degree in Therapeutic Science (MS-TS) was started for individuals holding an undergraduate degree in occupational or physical therapy, and in 1996 the Doctor of Philosophy in Kinesiology, Therapeutic Science Track (Ph.D.) was established. 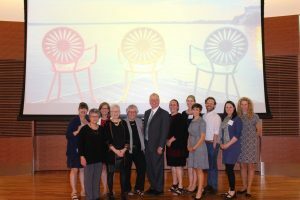 To meet the increasing needs of graduate-level students, and the academic standards of the University of Wisconsin-Madison, Occupational Therapy Program faculty members now hold doctoral degrees and have active research programs. Many of the faculty are nationally and internationally recognized experts within the occupational therapy profession. After a 60-year history, the Occupational Therapy Program at the University of Wisconsin-Madison phased out its Bachelor of Science degree to meet the educational standards of the Accreditation Council of Occupational Therapy Education (ACOTE) of the American Occupational Therapy Association (AOTA). Beginning in 2007, all entry-level occupational therapists must be prepared at the post-baccalaureate level. The Occupational Therapy Program is especially well-suited to meet the challenges of offering an entry-level master’s degree program with its emphasis on research and critical thinking skills. 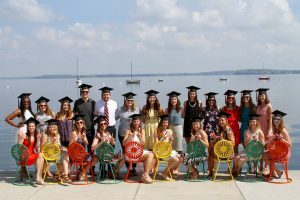 The University of Wisconsin-Madison began accepting graduate students for admission into the Master’s in Occupational Therapy (MS-OT) Degree Program in 2005. Listen to an NPR story about unemployed males looking to occupational therapy for a new career path. Occupational Therapy is one of the many health-related jobs growing during the economic downturn. It’s also a field traditionally dominated by women — females make up 90 percent of workers and men 10 percent — and recruiting males into the field has been a challenge. Dr. Barbara Kornblau (Class of 1977) invites alumni to join the Occupational Therapy Program in the Department of Kinesiology as we prepare to celebrate the 75th Anniversary of training therapists at UW-Madison as well as the 100th Anniversary of the profession. A celebratory event is being planned for 2017-2018. We are pleased to bring you the Fall 2018 online edition of “OT Matters,” an annual news publication for alumni and friends of UW-Madison’s Occupational Therapy Program. Cover story: “Building on a Tradition of Excellence: UW-Madison’s Occupational Therapy Celebrates 75 years” Take a look back through the program’s rich history as a nationally celebrated academic institution. Letter from the Director: Ruth Benedict recaps the OT program’s celebration of 75 years operating on campus and what the significance that celebration meant for the program moving forward onto the next 75 years. OT News and notes: Check out some program highlights from the past year. 75th Anniversary Highlights: Check out pictures and memories from the 75th Anniversary celebration! Philanthropy: Read about a recent gift given by a celebrated alumn. Student news: Learn about some of the work being conducted by UW-Madison’s Student Occupational Therapy Association (SOTA) and Diverse-OT during the 2018-19 academic year. The Occupational Therapy Program wants to hear from our alumni and friends. We also want to make sure you are hearing from us. If you have not received electronic updates, it may mean we don’t have your current e-mail address. Please email the Wisconsin Alumnni Association with your full name and current e-mail address, or fill out this online form. In addition, the WAA offers free e-mail accounts to all alumni.